Here’s one for you busy Beijing bachelors and stressed-out Shanghai bachelorettes, especially if you want a bowl of hearty and healthy vegetable soup that will warm you up on a cold winter evening. Doesn’t cost much and doesn’t require much in the way of special equipment, time or expertise. I’ll tell you how to make it, but if you will bear with me, I’ll make this more than just a recipe by adding some tips that will let you adapt the method used here to the preparation of other similar dishes. 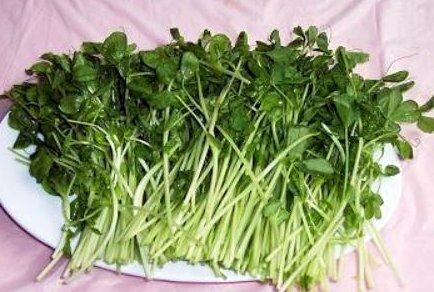 Pea shoots (豌豆尖 wandoujian) are found year round in Kunming as well as in other parts of China. They are often grown in those large Quonset Hut style plastic tents 塑料大棚 that you see along the tracks as you arrive by train from other parts of the province. I hadn’t actually planned to make this dish today, but serendipity led to my walking up beside a peddler with a cart loaded with very fresh wandoujian as I was coming back from buying a heat-generating light bulb to keep my bathroom from being so cold when I shower. She was selling nothing else. These “one-product” carts are often the best. The produce is usually straight from the farm and has not wilted or gone stale while passing through several sets of middle-men hands. Each bundle cost 1.5 Yuan, but of course she wanted to sell me several. That’s standard practice, don’t be upset, just smile and hold up one (index) finger. Immediately made a detour and picked up some tofu, since that’s the essential second ingredient. You have discovered by now that anyplace selling tofu has several kinds. The kind I buy for this use is called 老豆腐。In the market, it’s cut from a larger slab. In a supermarket, you will find it pre-wrapped. It's moist and soft. What I often do in situations like this is simply talk to someone nearby, explaining that I plan to make 豌豆尖豆腐汤 and ask for advice as to which kind of tofu would work best. Local people always know about things like that, especially the middle-aged ladies. This approach has never failed me and has led to some interesting, wide ranging conversations. 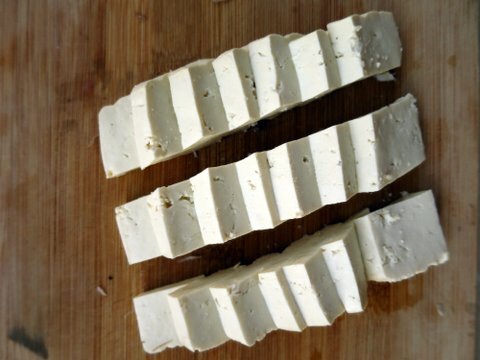 The tofu cost 3 Yuan. 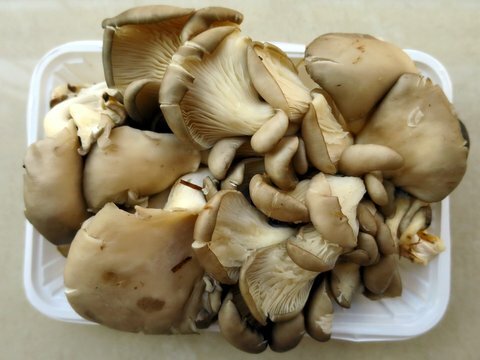 Today the lady I asked suggested adding some oyster mushrooms 平菇。They are bland but still add to the richness of the soup without competing with the other flavors. I decided to expand my repertory, took a chance, and picked up a package of those for an additional 2.5 Yuan. 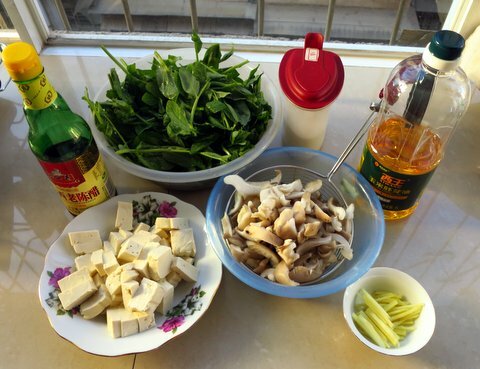 Our cumulative ingredient cost so far is 1.5￥ for the wandoujian, 3￥ for the tofu, and 2.5￥ for the mushrooms. A grand total of 7 yuan for a pot of soup large enough to feed three or four hungry people. A digression at this point about finding vegetables in China as a newcomer or tourist. When you are freshly arrived, selecting them from a restaurant menu can be a challenge because the house likes to present vegetables cooked together with meat. 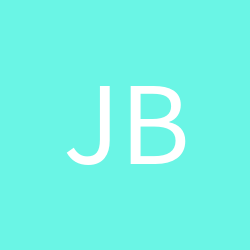 Thus they can easily be more complex, expensive and substantial than you might want. They often are not truly a side dish. Furthermore, they often are wok fried in lots and lots of oil. I’m not vegetarian, but I do like to eat lots of vegetables and I don’t like to ingest all that much oil. The solution is to have a simple house soup. Ask the waiter about any vegetable you fancy and just add the word “soup” (汤) after it. You can thus easily get a bowl of kucai tang 苦菜汤， baicai tang 白菜汤 (cabbage soup,) and so on. Most often it’s going to just be that vegetable cooked bland in water, with very little salt and oil. If you don’t want that much liquid, just fish out the boiled vegetables. So this afternoon when it became time to think about making supper, wandoujian doufu tang was number one in my mind for the menu. In this case it required some prep work. 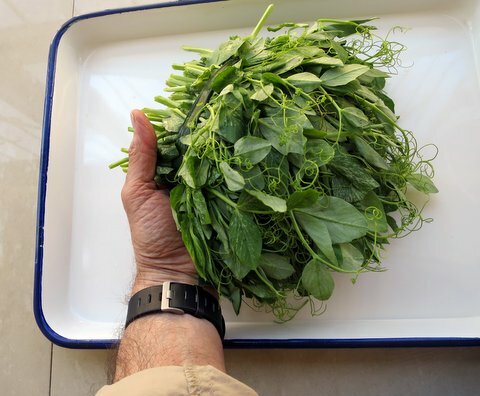 The pea sprouts must be picked over as well as washed clean. It’s a little tedious until you get into a rhythm. It’s a chore that is often passed down to the junior waitresses 服务员 between meals. They sit around in a circle doing vegetable prep, telling jokes and listening to music. The wiry tips need to be snapped off and discarded, as do any woody thick stems. Don’t go by size, go by tenderness. And it’s not an exact science so there’s no need to be terribly compulsive about it. If a tough part gets through, you can always just spit it out at the table. That’s part of any China dining experience. You eventually wind up with one discard dish of the tough threads and another of the tender leaves and soft stems. These “keeper” parts need to be washed. The reason I’m presenting it pedantically like this is because this recipe is sort of a template for many others. 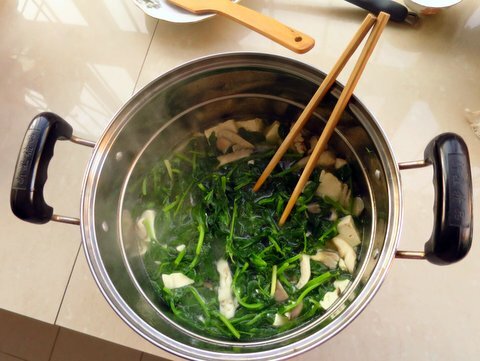 You can use the same process to make soup out of other greens, 空心菜 ("water spinach) and kale, being two good examples. Then I cut up the tofu. Best to make cubes about 2 or 3 cm on each side. Precision is not required, but if they are too small, they will fall apart when boiled. 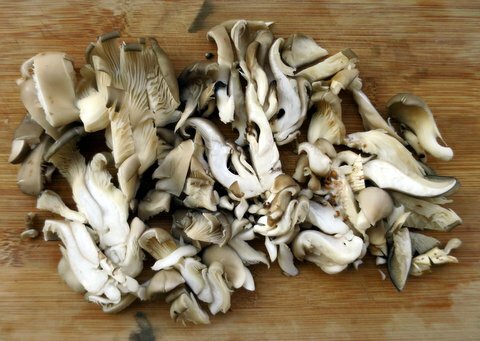 I next cleaned the oyster mushrooms. These are grown in sandy soil and always have a lot of crud on the bottom. Instead of trying to scrub that part clean, which is tedious, I just chop it off and discard it. That’s the part on the right in the left-hand photo below. A frugal Chinese granny might scold me, but she doesn’t have to know. Then I sliced them into thin strips and washed them well. Last item was some ginger. 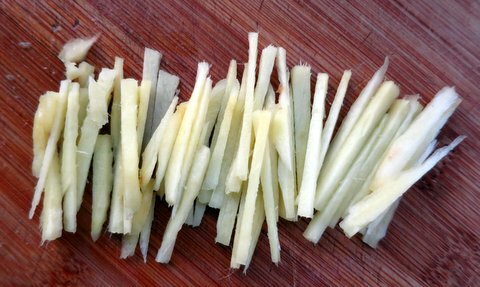 I peeled a thick piece nearly as long as my thumb and sliced it into tiny match-stick julienne slivers. 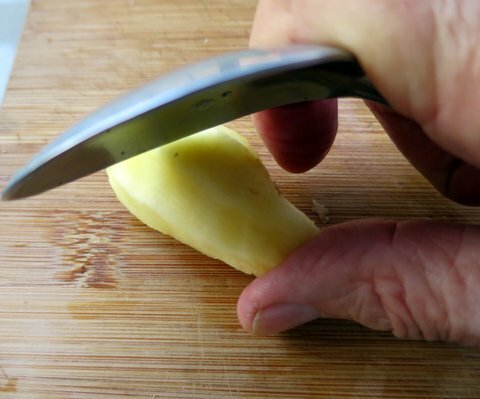 There are several ways to peel ginger, but I find using the side of a spoon to be simplest. Kind of scrape the skin off, pulling from the distal end of the root back towards yourself. It was difficult to photograph with only two hands, but maybe you can still understand what I mean. One of the hard things about this soup is to resist the urge to tart it up with all kinds of extra stuff for which you might have a fondness. When I first made it with a Chinese friend several years ago, we went through the process most memorably. So ingredients all assembled and ready, it’s time to whip it up. Always a good idea to get everything together and look it over before you start the fire. 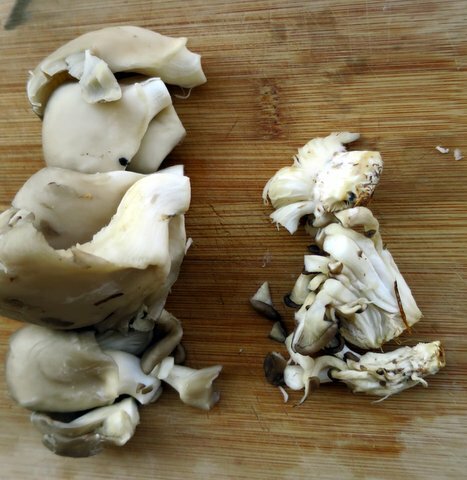 Add a dab of cooking oil to a suitable pot and sauté the ginger and mushrooms for two or three minutes on medium heat. The mushrooms will release some of their moisture. Add two or three cups of hot water and then toss in the tofu. When it boils, add salt to taste. You can also add a teaspoon or very conservative splash of vinegar to “brighten” the soup (not enough to make it sour.) Now the wandoujian goes in. At first the greens will sit on top of the water, but as they wilt they will shrink and become mostly submerged. You don’t want to boil them hard or long, because they are tender and cook fast. Maybe a minute or two until everything gets well mixed up. Stir them gently with chopsticks instead of a broad paddle or spoon to decrease tofu breakage. Meanwhile you have warmed a serving bowl by putting some hot water in it. Pour out that water and ladle in the soup. Presto, you are ready to eat. If you want it to be more of a soup, add more water during the “add water” stage. If you think of its place in your meal as mainly a vegetable stew, then add less. It can even be a light one-dish meal when you aren’t really too hungry. Sometimes I buy one of those small roasted chickens and just gnaw some alongside the soup. If you want steamed rice in addition, by all means have a bowl of that. I have local friends who maintain that without the rice, it’s not really a meal, just a sort of weird snack. Leftovers keep well in the fridge and can be microwaved tomorrow. I always make too much on purpose just for that reason. 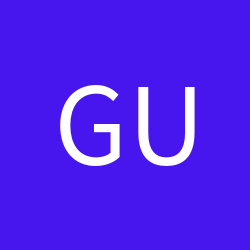 If you’re living in China, you might want to give it a try. 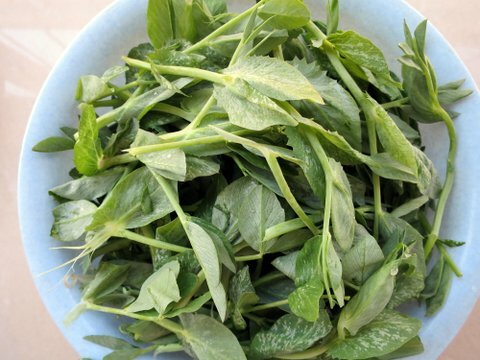 If wandoujian are hard to find where you are, substitute some other leafy greens. If you already make it, but do it a different way, please do share that. Improvements always welcome. 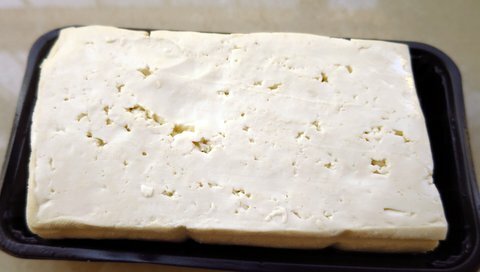 One site I found says that "豌豆尖是豌豆枝蔓的尖端" and "豆苗 ...是豌豆的嫩茎和嫩叶"; I guess my Chinese isn't good enough to know the difference between 枝蔓 and 茎+叶. After a closer look, I'm not sure they are identical. 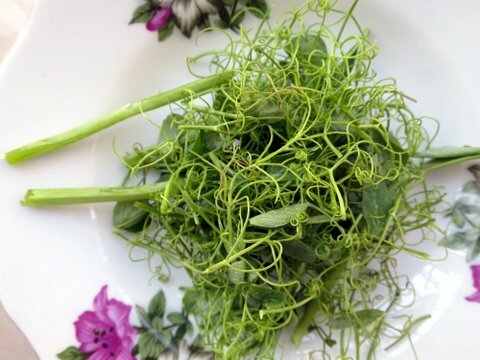 豆苗 look more like what English speakers would call bean shoots. One can buy them in the markets here next to the wandoujian. We also have another similar, shorter item that is locally called 豆芽。 Neither of these have the tough, wiry tips. So maybe it's more than just a regional difference in naming conventions. Can you find these and similar greens in Washington? Wouldn't surprise me, with a cool and moist climate. Same goes for the mushrooms. My wife calls them 豆苗; since she's Cantonese, maybe it is regional. You can find them when in season at the more authentic Chinese restaurants around here; I don't cook, so I so never check in markets :-) Them and 空心菜/蕹菜 are my favorite "more Chinese" vegetables that can be found around here. I like 空心菜 too. Maybe next time I will make it with that. 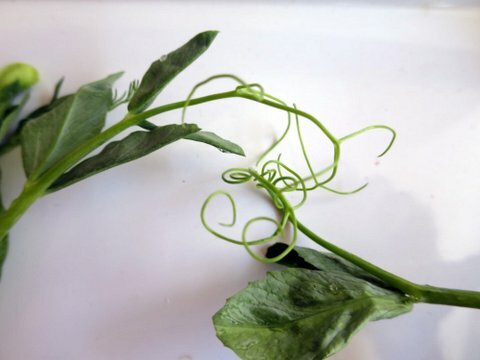 The prep would be quicker since one would not have to deal with the tough, wiry shoots. 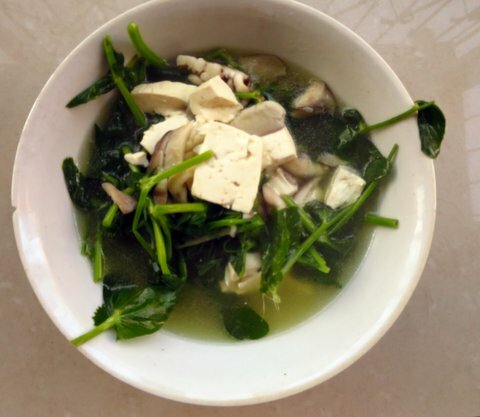 I've been taught (for quasi-magical reasons) not to mix spinach and tofu. So that is out as an alternative vegetable.